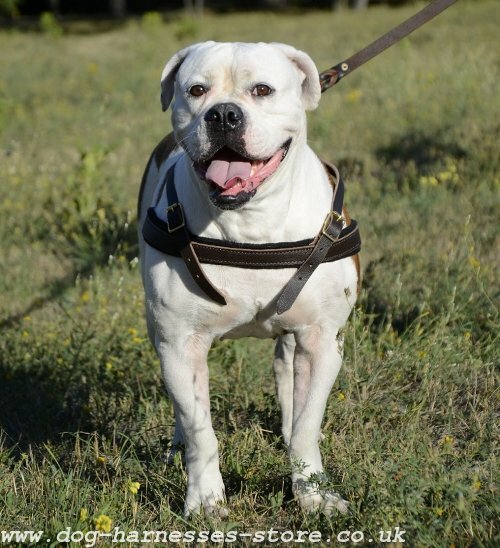 American Bulldog Harness for Training in Pulling, Tracking, Sports. Top Quality. 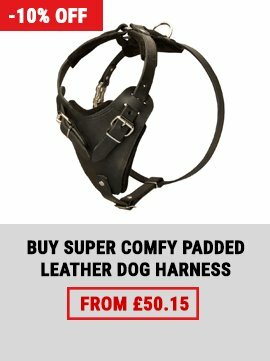 The harness for american bulldog with great functionality! Our heavy-duty hand-stitched and felt padded harness can be used for bulldog walking and training, going in for sport with a dog as well as for american bulldog pulling. 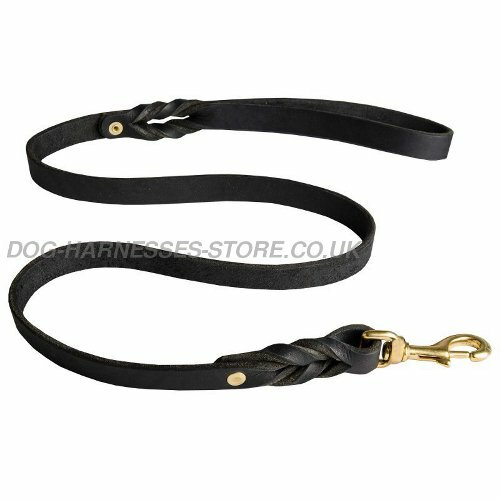 Moreover if you have the vice versa problem when the bulldog pulls hard, this harness is a great solution to restrain your dog. It is very durable for such dogs. 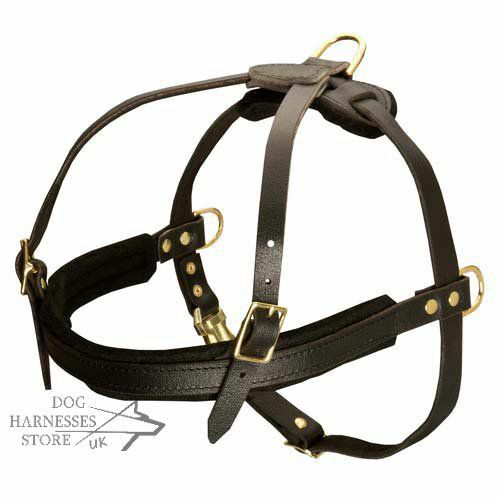 We work with experts in training that developed the pulling harness top comfortable and applicable for many purposes! High-quality leather and metal parts guarantee that the harness will serve your american bulldog for a long time and will keep it's shape by good leather care! 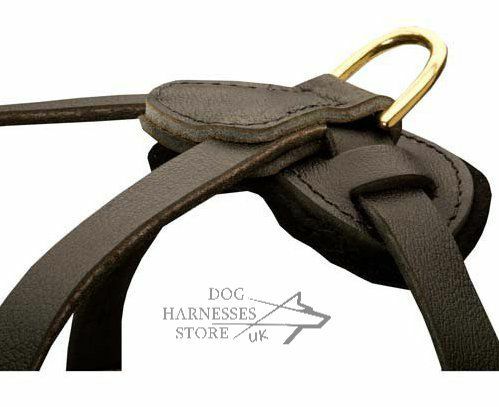 We represent the top qualitative product made of thick genuine leather from the United Kingdom and Netherlands. 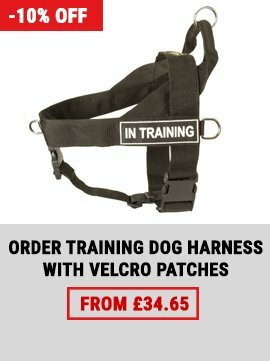 The chest strap here is padded with extra thick felt to provide supreme comfort for such great dog as American Bulldog and to absorb the shock of pulling work or when he pulls hard and you have to restrain him. The resistance is well distributed on the shoulders and chest that allows your Bulldog friend to bark and track good and still be under your control. 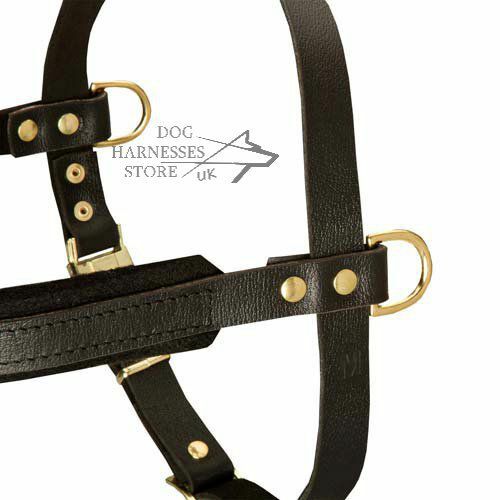 The brass fittings are solid and rustproof that makes the leather dog harness very durable and creates the original style. 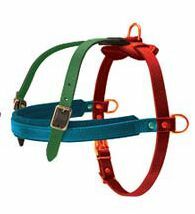 D-rings on the both sides of the Bulldog harness are intended for pulling work. 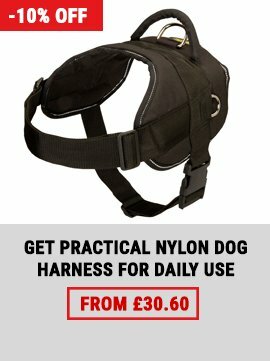 This dog pulling harness is 3 ways adjustable so you can fit it on your dog according to its size and put it on only with easy quick release buckle. 1. Hello, I got the harness last night. I am really happy with the product I will definitely be ordering from you again. Best regards! 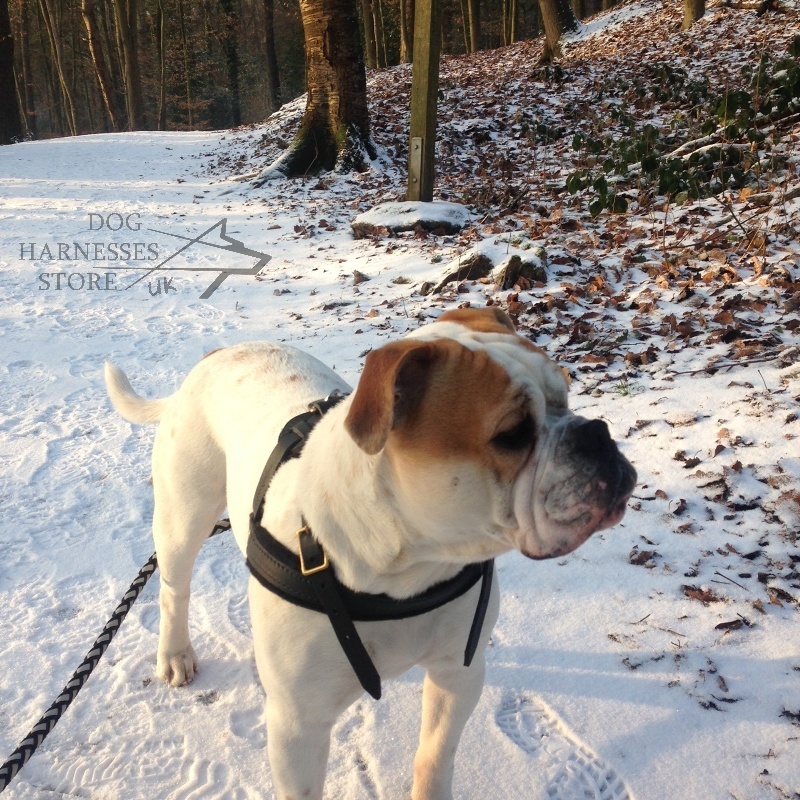 See fully padded dog harness for protection training of american bulldog.